In a previous post, we discussed the advantages and disadvantages of getting your very own microfiche machine. So you might now be wondering if it's plausible to get your own microfiche scanner. After all a microfiche scanner is more flexible, is more lightweight and provides you with a more flexible output which can be saved, stored, edited and shared. While microfiche scanners are the best way to output your microfiche to a digital format, they are not always the most cost-effective and there might be a better way which is what we're talking about in today's post. What does a microfiche scanner do? The microfiche scanner is made to extract the content of microfiche and convert it into a digital format, usually PDF or JPG. It's not always about what a microfiche scanner does but more what you can do with the results. In comparison with a run-of-the-mill microfiche viewer, you can output files in comparison to just look at them which allows for greater flexibility in how you can work with them. Microfiche scanners, while providing excellent solutions are sometimes simply not worth it if you have a low quantity of microfiche. 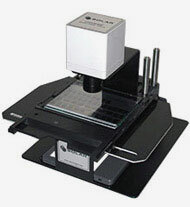 Microfiche scanners are very highly priced at nearly £6,000 ($10,000) and that's for a fairly middle-of-the-road example. You also need to consider that with a microfiche scanner you need to take the time and patience to learn how to use it. Like the microfiche you're hoping to convert, they aren't the easiest of media to work with and even having learnt how to use one it still takes a considerable amount of time to manually scan and index each image correctly. So what would be a better solution than an actual microfiche scanner? More often not in your local town or city you'll find a number of companies that are already established as providers of microfiche conversion and already have a number of microfiche scanners in operation. This might seem like a solution that you may not want to follow but they also tend to charge less than you might think. From our researches prices tend to start from around 4p per image here in the UK so you might be surprised at how much you can save in comparison with purchasing an actual microfiche scanner. Is Now The Right Time to Scan My Photos?